Alien: Covenant is the 9th episode in the enduring, sci-fi franchise launched back in 1979, provided you count the trio of Alien vs. Predator spinoffs. 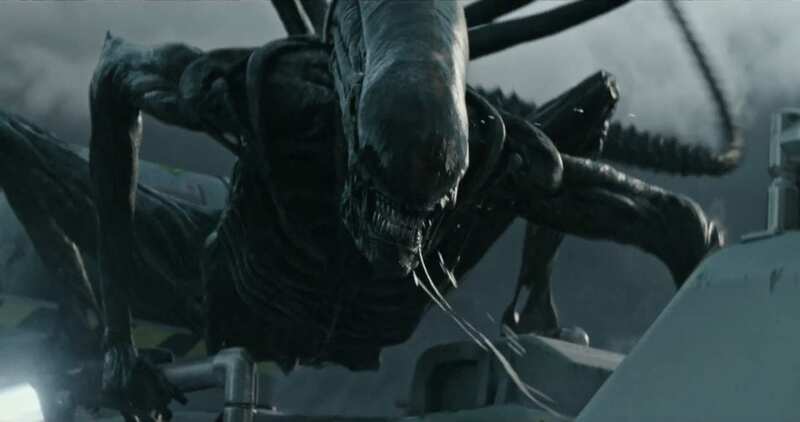 This installment is a sequel to Prometheus (2012) which devoted fans know was a prequel to the original. Covenant was directed by the legendary Ridley Scott who also made the first and the previous picture in the series. As the futuristic tale unfolds, we find the spaceship Covenant hurtling through the ether on a mission to colonize a distant star with its cargo of 2,000 cryogenic humans and 1,140 frozen embryos. The crew, under the command of Captain Jacob Branson (James Franco), is composed of seven couples plus a state-of-the-art android named Walter (Michael Fassbender). Before they reach their destination, the vessel is damaged by a “shock wave generated by a neutrino burst from a solar flare,” whatever that pretentious, scientific jargon means. The upshot is that the accident conveniently dovetails with the arrival of mysterious radio signals that appear to be human in nature. Curiosity gets the better of them, and they divert the crippled craft to the source of the transmissions, an uncharted planet nearby. Against their better judgment, they dispatch an expedition team to the surface to determine whether the place is habitable and might thus serve as a substitute settlement spot for their hibernating pod people. Unfortunately, the intrepid explorers are blissfully unaware that they’re being contaminated by a monstrous, microscopic virus that can enter a body through any open orifice. After a brief gestation period, the opportunistic infection drains the hosts of their vitality while simultaneously morphing into the drooling, gelatinous, man-eating creatures long associated with the Alien adventures. This doesn’t bode well for the Covenant, and what ensues is a high burn-rate affair in which crew members are gradually picked off one-by-one, with each succumbing to a demise a little more grisly than the last. To paraphrase, the franchise’s immortal, inaugural tagline: In space, no one can still hear you scream, or save you from a body-snatching chestburster either. A blood-curdling sequel and worthy addition to the series certain to scare the living daylights out of you!